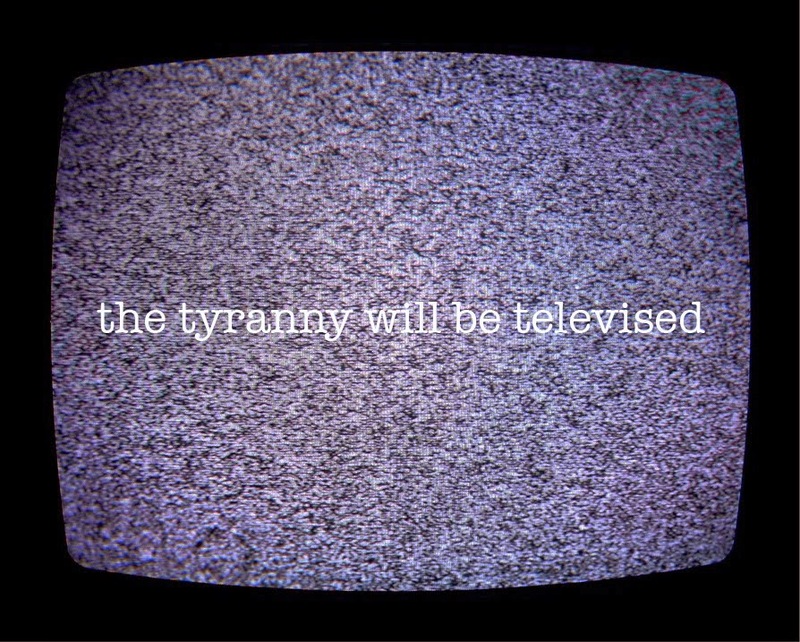 but the tyranny will be televised. the tyranny will be televised. 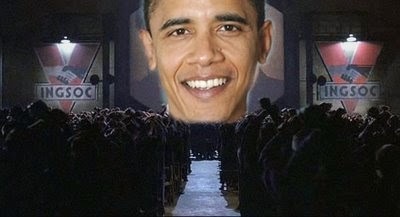 FOR THE FIRST TIME IN HISTORY, the descent of a society into tyranny will be televised. There will be a complete record, in color, and in the finest detail, of a banker-sponsored coup, a corporate police and corporate military takeover of an entire country. And not just any country: the United States, a country born of the fiery spirit of revolution and an unquenchable thirst for freedom. This septillion2-pixel record of every lie, every hand gesture, every facial tic, every cynical stroke of the pen of the bankers' selected politicians steering a prosperous people toward ruin; this permanent audiovisual recording of the fervent resistance of a few good politicians, led by statesman Ron Paul, to the cynical machinations of the bankers' obsequious minions; this audiovisual footage of the resistance of U.S. citizens to TSAinvasions, K9 persuasion, black batons, and trainloads of light-armored tanks and armored personnel carriers with "RESCUE" or a red cross stenciled over camouflage paint (like drawing a heart on a nuclear warhead); this massive archive of videographic footage, in color and in sound, taken in its entirety, will be a unique and ultra-powerful teaching tool for future generations – assuming that any generations exist after the bankers have "rescued" us, that is, after they have completed their latest in a series of economic implosions and have rounded U.S. citizens up for FEMA camp internment – the last step before "useless eater" cullings, a planet-wide anti-humanity transhumanist program to depopulate the earth by 90%, give or take a few children, women, and men. 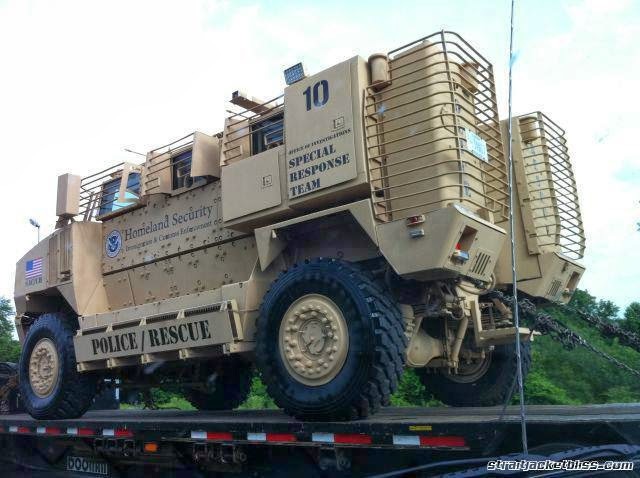 DHS purchased 2,700 armored personnel carriers in March 2013. This audiovisual record will comprise a TV documentary that survivors will title "Tyranny 666.0" . . . or "Total Tyranny Comes to Town: How the United States Was Infiltrated, Corrupted, and Destroyed by Paid Minions of the Rothschild Dynasty. The documentary begins with footage shot by local news channel and NYPD camerapersons in helicopters flying over lower Manhattan on September 11, 2001. This footage, originally played by Rothschild-controlled media as a means to shock the world into submission, ended up, quite incidentally, giving the world its first detailed (videographic) look at a Rothschild-sponsored false-flag operation in progress. What was meant to be televised to impressionable minds worldwide was: fireballs, terrorism, murder, a hot gauntlet thrown down by Muslims bent on pursuing an insane world-shaking clash of civilizations, a declaration of war by austere Muslims against hedonistic, money-above-all Christians. 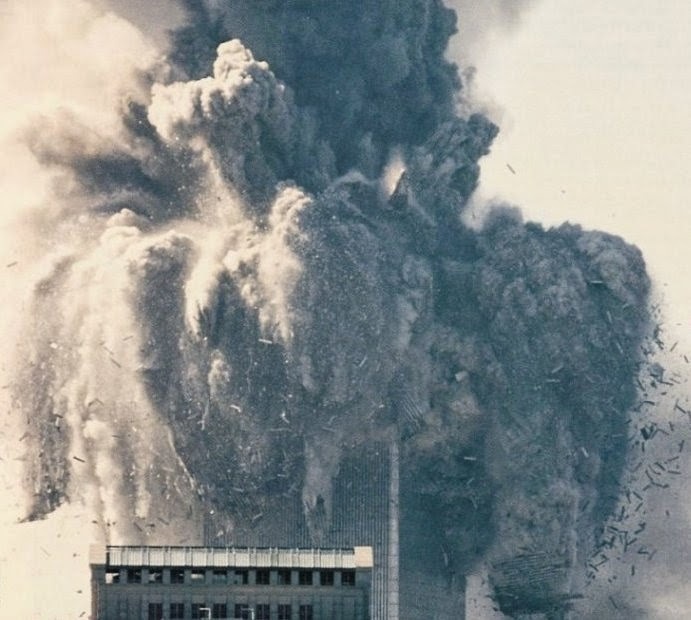 Military-grade controlled demolition of the World Trade Center on September 11, 2001. What many people (clear thinkers) actually saw, instead, was: three huge structures blown to dust by controlled demolition and the resulting pyroclastic flow of dust and ash, typical of volcanic explosions, pursuing city-dwellers throughout the streets of lower Manhattan like a Pillsbury Doughboy gone mad. Two planes that flew into the two taller towers – aircraft that TV news reporters immediately identified as passenger planes hijacked by nefarious brown persons – were later identified by screen-grab enthusiasts and veteran passenger jet pilots as military jets whose sharp-banking, high-speed turns further identified them as remote-controlled. 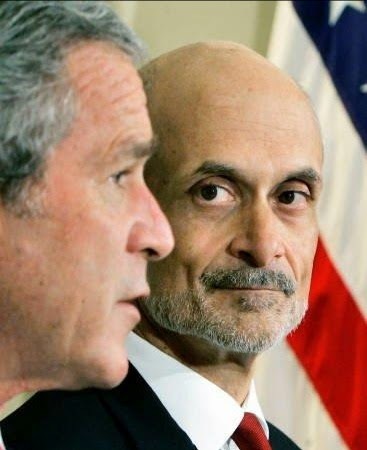 This was big news – that Muslims were not responsible – but the people with discerning minds who discovered it, and others who read their research and understood it, had no control over the Rothschild-steered major media's outpouring of lies, so the official story of "Muslim terror on 9/11" continued to burn in the hearts of United States citizens and in the hearts of unwitting persons around the world. In the years following 9/11, the televised build-up to total tyranny in the United States continued. We watched news anchors blithely report that the TSA would be turning free persons into criminal suspects in U.S. airports in the name of "safety." We watched the rollout of Michael Chertoff's personally profitable naked body scanners, which employ carcinogenic backscatter x-rays that destroy both bodily health and bodily privacy. We watched air travelers senselessly pay for the crimes of "hijackers" who never flew (and never could have flown) passenger jets, or anything else, into the Twin Towers. We watched the TV news report the rise of checkpoints on U.S. highways as if reporting on the weather. 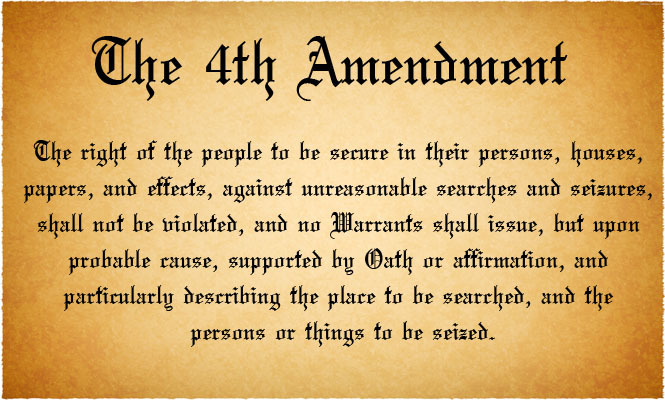 These checkpoints shattered the 4th Amendment with one blow. (And police were often in league with military personnel, violating the Posse Comitatus Act.) On April 14, 2009, pastor Steven L. Anderson was illegally and unlawfully tasered, repeatedly, at an Arizona DPS and U.S. Border Patrol checkpoint because police claimed, incorrectly, that a drug-sniffing dog had identified drugs in his car. In Florida in 2010, "no refusal" DUI checkpoints were instituted in which, if a breathalyzer test was refused, blood was taken. In late August and early September of 2013, Tennessee police stopped drivers at "no refusal" blood-draw DUI checkpoints. In Alabama in 2014, off-duty deputies (pretending to be on-duty officers) were paid by a private research firm to gather DNA (saliva and blood samples) from driver volunteers (although the checkpoint sign bringing people to the shoulder of the road said nothing about volunteering) and paid volunteers $60. The rise of the police state went virtually uncriticized by the Rothschild media, which cheerleaded it with an occasional nod to the steadily antiquating notion of human rights. We watched news anchors report in blasé tones that U.S. Army or U.S. Marine forces would be conducting drills in various cities or neighborhoods across the Unites States, and "don't be alarmed." Should citizens be alarmed that an entire American town has been built for U.S. Army drills to be conducted? 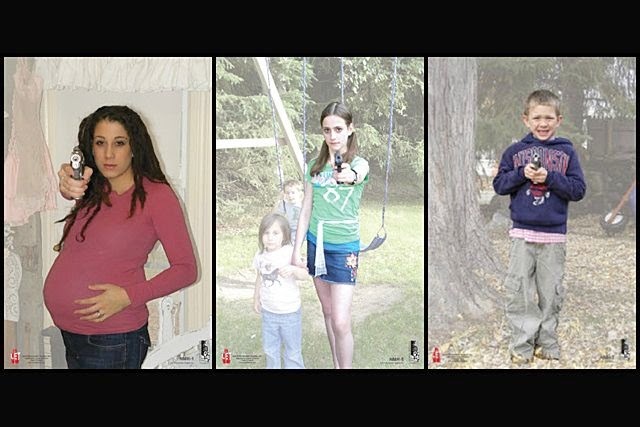 Should citizens be alarmed that targets depicting pregnant women and children were sold to the DHS and continue to be sold to the DHS? We watched from helicopter television cameras as emergency personnel stood around doing nothing after the so-called "Sandy Hook shootings," which it turns out resulted in zero confirmed deaths, though the crisis actors involved cried tears (or tried to cry tears) and told stories meant to convince you otherwise. The razing of the school, which, at any other crime scene, would be called "destroying evidence," was completed early in 2014. In Massachusetts, 9,000 armored military and militarized police searched the Greater Boston area for a single suspect after the staged and embarrassingly uneventful "Boston bombings" (uneventful except for crisis actors' absurd theatrics), forcing thousands of homeowners to submit to home inspections without a singe warrant issued.